Happy Monday guys as we launch another J-Drama on Crunchyroll! Antiquarian Bookshop Biblia's Case Files! Starting today at 3pm Pacific Time, Crunchyroll members in the following territories will be able to watch Antiquarian Bookshop Biblia's Case Files: USA, Canada, UK, Ireland, South Africa, Netherlands, Central and South America including the Caribbean, Australia, New Zealand, Scandinavia, Germany, Austria, Liechtenstein, Luxembourg, Switzerland, Belgium, Italy, Poland, Denmark, Hungary, Czech Republic, Romania, France and DOM/TOM, and Andorra. 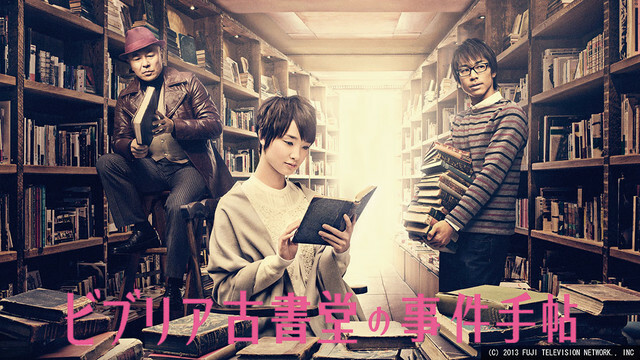 Shinokawa Shioriko is the proprietor of Biblia Antiquarian Bookshop, her sidekick Goura Daisuke, her lanky gofer and protector, has trouble reading books; they make him dizzy. Shioriko is demure and introverted, an expert on vintage books, a great storyteller, and of course, a lover of books; she also has amazing powers of logical deduction, and can solve big mysteries from the smallest of clues. The unlikely pair join forces to unravel secrets and hidden meanings to help people looking for answers, and the true answers are never what they expect. Hey guys, lugiamania here with some mid-week announcements! For all you Ultraman fans out there, we've got another catalog coming your way today at 4pm Pacific Time! Ultraman Leo will be available for users in the following territories: United States, Canada, Latin America, UK, Australia, and New Zealand. All-Access users will be able to view the whole series today, and free users will be getting 10 episodes per week starting with 1-10 today! 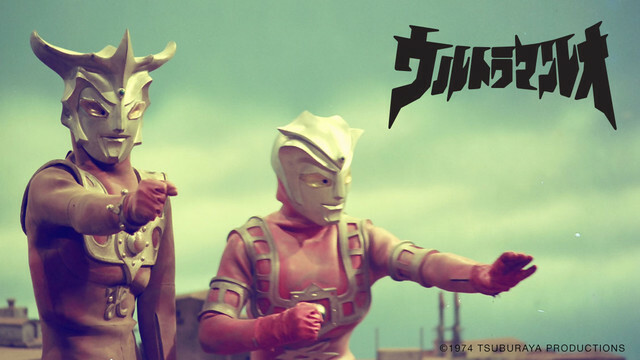 Ultraman Leo comes from Nebula L77. He comes to Earth as a second home after his native land has been destroyed by Alien Magma. On Earth, Ultraman Leo takes the human form of Gen Otori, a gym coach at a local sports club. After witnessing the fight between Ultra Seven and Alien Magma where Seven hurt his leg and lost his power to transform into the giant fighter, Leo accepts the mission to defend the Earth on Seven’s behalf. He joins MAC (Monster Attack Crew) with Seven as the captain, receives rigorous training and transforms into the gigantic Ultraman Leo when things get out of control. Unlike the rest of Ultraman warriors, Leo's fighting style is featured in martial arts giving him far greater physical abilities than any of the other Ultra Brothers. He, along with his brother Astra, is awarded the title to become a member of the Ultra Brothers. Keep it going! I hope we can get the entire Ultra series out here streamed. You guys are doing great work! Try getting more toku too!! I wanna see Kamen Rider and Sentai in all its' glory up here someday!!! So excited about these toku releases! Thank you guys so much! Do you think you guys can also get Tiga and Ginga as well? anything else we can not see in Spain that mess! Could the opening and closing themes be subtitled? I know that such a lack of subtitles is usually due to rights issues with the songs in the OP and EP, but I'm a bit surprised that's an issue here, since AFAIK, the songs for Ultraman Leo aren't normal J-pop songs but rather were produced for the show itself. I just want Gaia and then either Nexus or Tiga. Please, guys, keep getting tokusatsu titles. Toku fans have had to deal with watching RAWs or sketchy fansubs for years so I am damn excited to see these Ultraman titles legally streaming! I hope that CR can one day stream Kamen Rider or Super Sentai (though I doubt that one is possible because of Saban). Also, hopefully CR can look into other, lesser-known toku titles (Garo, Tomica Hero Rescue Force, Fireman, etc.) that may not cost as much as licensing Toei properties. Anyway, CR, thanks for the awesome Ultraman additions! As a bibliophile and librarian-in-training, I'll definitely have to try Antiquarian Bookshop Biblia. *narrows eyes* onizuka-sensei....what are you doing with all those books? Thanks again for all the JDrama! Antiquarian Bookshop Biblia's Case Files sounds very interesting!